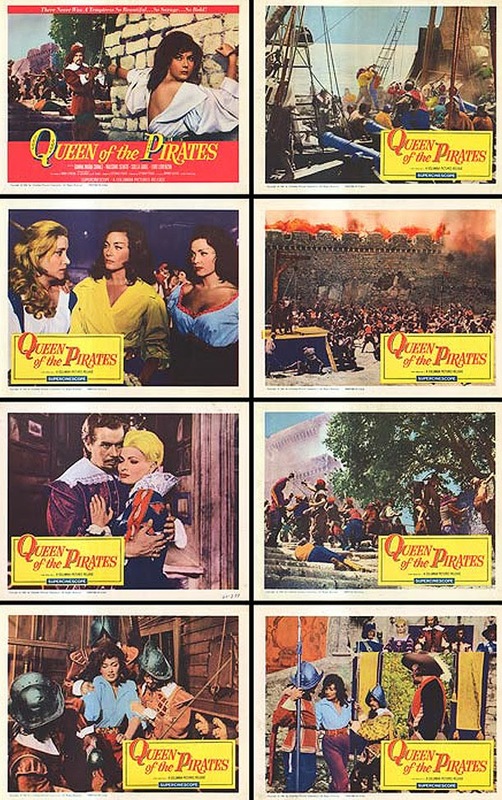 US lobby cards set for QUEEN OF THE PIRATES (1960): 4 cards with Gianna Maria Canale which makes this a pretty good set, but the dull cards no 2, 4 and 6 bring it down. No 3 is the best card with Gianna and Moira Orfei together and card no 5 with Massimo Serato and Scilla Gabel. Good but could have been greater without those 3 boring cards. GMC is so HOT in this flick ... and she gets to show off her fencing skills, which were neglected in later films IMO. Thanks for posting! QUEEN OF THE PIRATES is one of Gianna's best Peplums. She is by far and away my favorite Peplum actress. Sergi Constance as Zeus in JUSTICE LEAGUE! PEPLUM Cliché: "Tied to the mast"